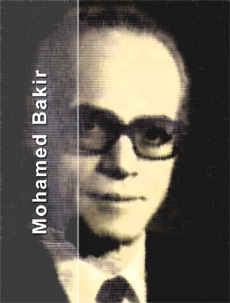 Founded by my grandfather Mohamed Bakir in 1949, MOHAMED BAKIR OFFICE, the forerunner of this professional business corporation, has continued to render services for the interests of our clients under the guidance of my beloved mother, Mona Bakir, who established her own office in Zamalek on 1982, and reached the international community securing a renowned status and ensuring a prominent name for MONA BAKIR OFFICE. For this reason, my resolution has been diligently done to pursue this business. 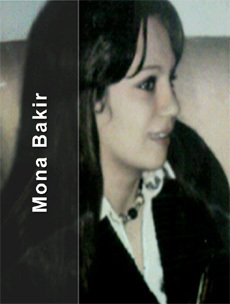 Consequently, in order to secure the stability and continued sustainable development of our firm, MONA BAKIR & SON OFFICE (Professional Corporation) was established in July, 2009, and initiated its duties on January 1st, 2010, under the new name. By making the utmost of our knowledge and expertise accumulated over the past years since our firm's inauguration, all our members and I are determined to strive to fulfill our clients' trust and expectations as one assiduous team of the specialists in the field of intellectual property rights. We are fully aware that intellectual property firms cannot be evaluated by their years of services and this is the ideal time for us to make a thorough and overall review of our services taking the establishment of our professional corporation as a milestone. We will continue to exert every minute effort to pursue the enhancement of our expertise; to endeavor to be constantly improving the management of our services, to promptly conform to the demand for patent attorney firms in the new era, with due care, so that our services can fully meet our clients' expectations and trust placed upon us.